Post Traumatic Stress Disorder been around for thousand of years, but rather confusingly under many different names. Previous terms for what we now call PTSD have included ‘shell shock’ during WWI, ‘war neurosis’ during WWII; and ‘combat stress reaction’ during the Vietnam War. It was in the 1980s that the term Post Traumatic Stress Disorder (PTSD) was introduced – the term we most commonly use today. The first documented case of psychological distress was reported in 1900 BCE, by an Egyptian physician who described a hysterical reaction to trauma. PTSD is essentially a memory filing error caused by a traumatic event. It’s worth pointing out that the majority of people exposed to traumatic events experience some short-term distress which resolves without the need for professional intervention although unfortunately the small proportion who do develop the disorder are unlikely to seek help. Instead most battle on despite their symptoms and their quality of life is likely to be substantially reduced; evidence suggests that around 70% of people who suffer with PTSD in the UK do not receive any professional help at all. 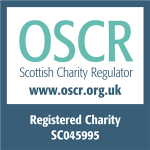 The disorder also impacts upon loved ones, work colleagues and more widely too. At the time someone is being exposed to this intensely fearful situation, their mind ‘suspends’ normal operations and it copes as well as it can in order to survive. This might involve reactions such as ‘freezing to the spot’ or instead the opposite ‘flight away’ from the danger. Until the danger passes the mind does not produce a memory for this traumatic event in the normal way. Unfortunately when the mind presents the memory for filing it can be very distressing. The memories such as the facts of what happened, the emotions associated with the trauma and the sensations touch, taste, sound, vision, movement, and smell can be presented by the mind in the form of nightmares, flashbacks and intrusive unwanted memories. These re-experiences and flashbacks are a result of the mind trying to file away the distressing memory, but understandably can be very unpleasant and frightening because they repeatedly expose the sufferer to the original trauma. As the mind continues to try to process the memory, the individual also finds that his or her levels of awareness change. People can become find it difficult to control their emotions and suffer intense symptoms of anxiety. This anxiety can present itself as both physical (shortness of breath, tight muscles, profuse sweating and a racing heart) as well as emotional (feeling on edge, hypervigilance (looking out for signs of danger all the time) or feeling panicky). Hyperarousal can increase emotional response, but many PTSD sufferers also feel emotionally numb and have trouble communicating with others about the way they feel – this may make them more anxious and irritable. There are many symptoms of PTSD. Quite often, the feelings and symptoms of PTSD become so unmanagable and uncomfortable, that the sufferer starts to avoid anything linked to the original trauma which, as you can imagine, can affect day to day life. The brain is programmed to process memories, and so the more the individual avoids things like thinking about the trauma, the less likely is it that any memory processing will occur, and the more likely it is that further attempts at filing a memory will occur automatically. This ultimately leads to further nightmares, flashbacks and intrusive memories which lead on to further hyper-arousal and emotional numbing, and this in turn leads on to more avoidance and so on. This is how the symptoms clusters perpetuate themselves in a vicious cycle which can go on for years – and why some PTSD sufferers ‘manage’ for such a long time without help, but eventually the symptoms become unmanageable. Following a trauma, in the majority of people, the immediate psychological reactions settle down. In some people (thought to be 20% of those who suffer a trauma) these reactions can ‘stick’ and become chronic. If this is the case, PTSD may be said to be present. This theory is based in Horowitz’s Information Processing Model. For treatment to be successful, information processing must be completed. 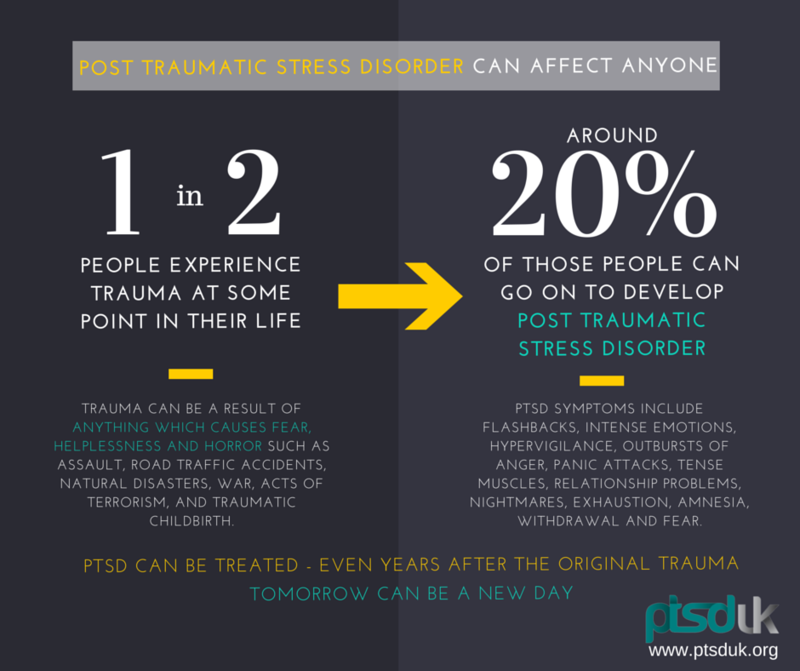 This is why therapies such as EMDR aimed at helping the individual to process and work through the traumatic material are extremely beneficial, however there are several types of treatment which can help those with PTSD.